1. Set yourself up for success in the new year. 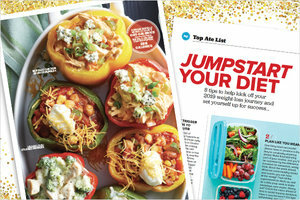 With 60+ easy & delicious low-calorie recipes, inspiring success stories, a healthy grocery cart makeover, and so much more, this special keepsake issue will kickstart your SKINNY NEW YEAR! You’ll be on your way to a healthier, happier YOU. 2. 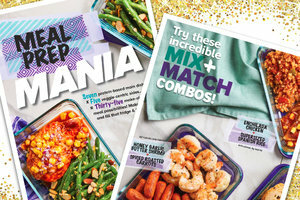 It's a FANTASTIC gift for your food-loving friends. This is no ordinary magazine. 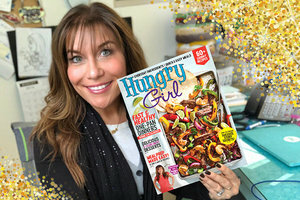 Hungry Girl magazine is a thick, high-quality publication that’s exploding with brand-new content! 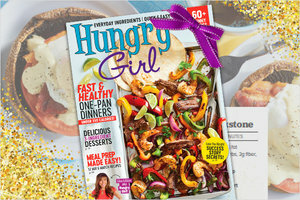 Plus, you can have it sent directly to a friend’s or family member’s doorstep. You’ll even get a cute downloadable gift card to let them know their gift is on the way! 3. It’s the ONLY way to guarantee you get a copy. 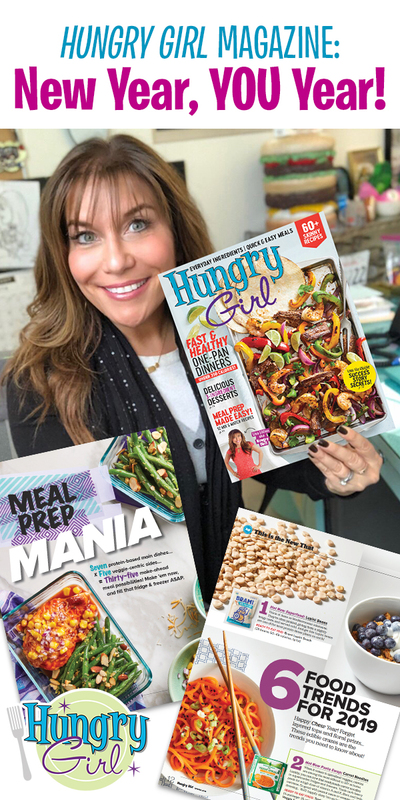 While the magazine WILL be available in stores starting in late December -- Walmart, Target, major supermarkets, and more -- not every store location will carry it. Plus, shipping is free, so it won’t cost you a penny more. Orders will ship in 2 - 4 weeks. Ordering from Canada? Click here. Here’s MORE of What’s Inside! ⭑ Your Ultimate Dining-Out Guide - How to make the smartest food choices WHEREVER you go. Remember, ordering now is the ONLY way to ensure you get yourself a copy of this must-have magazine. Mail-order quantities are limited, so act now! Shipping is FREE, and you’ll get an adorable downloadable gift card when you order for a friend. I just know you’ll love it as much as I do! Happy Bathtub Party Day, December 5th! Add bubbles to your bath by sipping on a Sparkling Spiced Apple Sangria. Click “Send to a Friend” to share the news!